Also available: Love is All Around Papers and Love is All Around Elements as separate packs. Part of the February 2017 BYOC collection. (8) 3x4 & (2) 4x6 journal cards + printable pdf file. Coordinates with the February 2017 BYOC collection. A Bit Worn meets Topography! Bring a fun touchy feel to your digital work! Each template comes as a psd, tiff AND now PNG files too! Each template includes ready to use A Bit Worn masks within the template. Directions are included to help tweak your mask to suit your paper or photo! When times are tough, and the world feels cold & unforgiving, taking time out to reflect on where you're going, where you've been, and how you've got there can be a soothing balm on your heart. Life is a beautiful ride, full of ups & downs, good days & bad- and it's so important to capture it all! If you find relief in pouring your feelings out onto a blank, scrappy canvas, then my Rough Times: Elements pack is one you will want to reach for when the world has you blue. The clean designs and soothing neutral colors - topped with just the right amount of grit & grunge to symbolize toughness, and a pop of bold yellow for a bit of hope- are just the thing when trying to authentically document the deeper stories of your life. 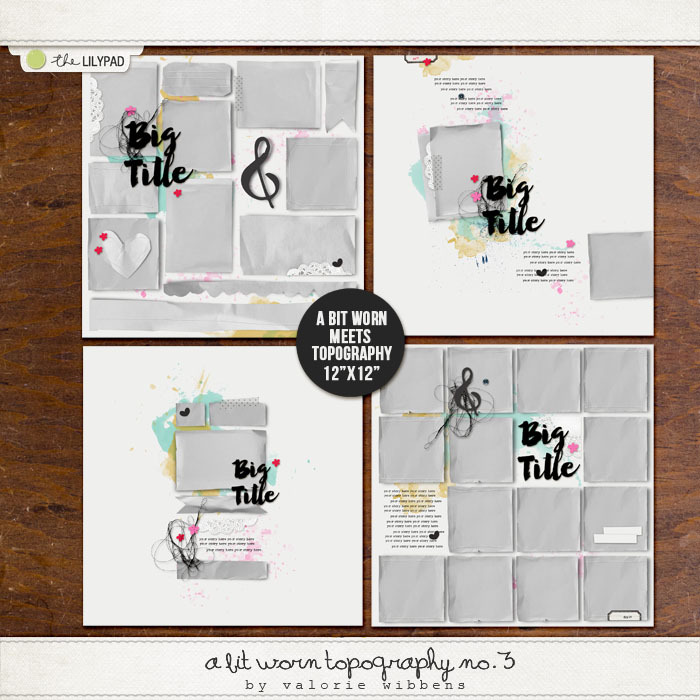 A beautiful way to put some scrap therapy into your digital and hybrid creations! Ready to jump into the world of styles?! 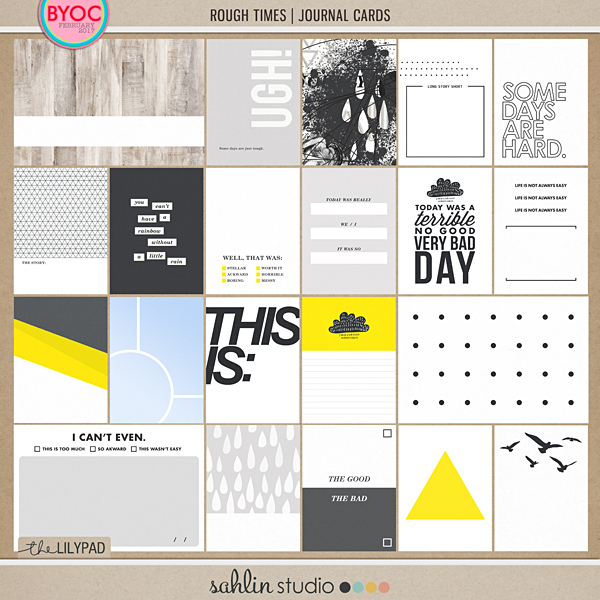 This set of BYOC styles are a perfect "gateway" style set to use on your next layout. This set contains 3 different style effects - each in BYOC colors. Each style comes with and without dropshadow for ease of use. Styles work in both PSE/CS/CC. create a unique visual blend with an artistic handpainted look. “Zig Clean Color Water Brushes” from Japan! A pack of 16 watercolor papers that coordinate with the Fevruary 2017 BYOC. A pack of 47 watercolored elements, ribbows, flowers, and more that coordinate with the February 2017 BYOC. A pack of 16 words that coordinate with the February 2017 BYOC.